There's nothing better than the flavor and aroma of freshly brewed coffee, kissed with sweet, rich caramel. 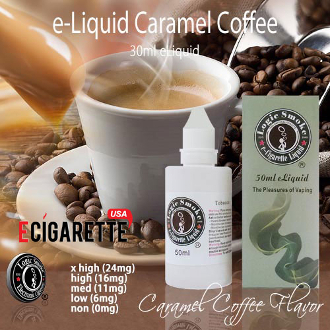 This is the pleasure you'll experience when vaping our caramel-coffee flavor electronic cigarette e-liquid. Not too sweet and a flavor that can't be beat! Add a few drops of any of our other flavors, such as chocolate or vanilla to add that little extra kick. Then kick back and enjoy!